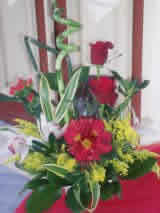 * Floral creations or plants for all social occasions, such as births, name days, birthdays, openings, Christmas and Easter occasions. 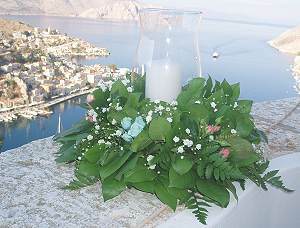 Are you considering to celebrate your wedding on Symi island? All you need to do is contact Symi Flower and they will arrange in agreement with you for all the necessary decoration (car, bridal bouquet, church decoration, banquet decoration). 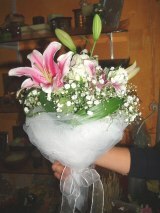 Should you decide, be sure that Symi Flower is your number one choice on Symi island! For special occasions such as weddings, christening receptions, church decorations we take care of all details. All you need to take care of is be there!